How’s your week been going so far? Found anything interesting? Well i hope so! I’ve been a little ill as of late, but we can’t let that get in the way of Funko goodness of course. Still visiting my family in England so i’m away from the USA and where all the POPs are oh no! Hopefully i don’t miss too much, but my wife is back there taking care of things. Here’s your micro Funko POP News for the day! Toy Wars Memorial sale is ending tonight, currently if you use the code “May30” you will get 30% off any in stock items. On the same note as Toy Wars, they are also receiving an exclusive Cryptozoic Bombshell figure, the one in particular is the Noir Batwomen. The Walgreens exclusive Mace Windu Funko POP is still hitting stores, some reports have seen 15 or more though they’re the lucky ones! Keep your eyes peeled. Here’s the link where the Barnes and Noble exclusive Invisible Frodo will be appearing, he’s not gone on sale yet but hopefully we can catch him when he does. Funko has announced that they will be sharing the first wave of SDCC POPs as soon as June 5th. Looking forward to the Bodhi Rook POP from Rogue One? Funko shared our closest look yet right here. Funko confirms there will be another wave of Harry Potter POPs. Also Funko commented that Harry Potter with Invisibility Cloak is still happening! Spotted at Target this week, Funko has started packaging their POP Tees with Pint Sized Heroes for the same $14.99 price. Perhaps these will sell better? There are apparently 4 in the line so far, but only 3 have been spotted. Brick Seek Links and Images to follow! Seen in this photo shared by Funko it seems there will be upcoming Freddy Funko Pint Sized Heroes along with a Plush and Mega Plush. Be prepared to see some of the most expensive Funko items ever sold in this charity auction, Funko donated various signed POPs including the rarest POP (Golden Ticket 2 Pack) that went for $6,700. Prepare to start bugging your local FYE employees for this awesome Red Dragon Ranger POP! Anyone found Village Belle Funko POP yet? I’ve still never seen her in Walmart, and neither online she’s very elusive. I may just get her from FPI, link here if anyone else is interested. On the same note of FPI, i recently purchased Emerald Pharah from there as she’s all but impossible to find now, still on the hunt for Posh Tracer though, she should be re-stocked soon according to ThinkGeek. Feel free to check out other exclusive POPs at FPI, including figures such as ..
Mortal Kombat POPs are coming soon! If you want that Jolly Roger POP keep checking Disney World and Disney Land as they are restocking pretty often. The Target exclusive Spider-Man and Iron Man 2 pack is set to hit stores very soon, here’s a BrickSeek link to get you ready. Want a closer look at the upcoming Rose Goku POP exclusive to Hot Topic? Look no further than this link. ← Walmart Exclusive Angry Groot Funko POP! Out Now! I went to Megacon Orlando on Sunday and found Mikasa from Attack on Titan for 25 dollars and Eren from Attack on Titan for 11 dollars and I had been wanting them for months! 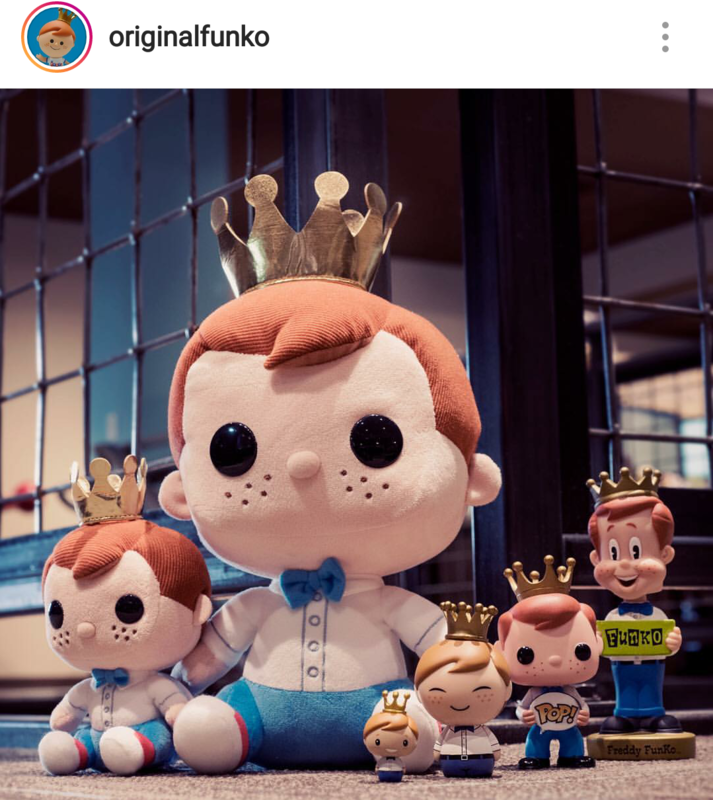 I’ve been hoping for Pops for Kingsman for awhile now. Just wish they had Merlin as well. Good character that had a lot of screen time. When exactly does the B & N invisible Frodo go on sale?? If anyone can snag an extra Invisible Frodo and would care to sell him (for a reasonable price, like a few extra plus shipping of course), I want one!